Some industrial mineral occurrences in the North-central geopolitical region have been selected for study in this project. The selected industrial minerals comprise Kaolinitic clay, Bentonitic clay, Barite, Marble, Talc, Asbestos, Mica, and Feldspar. The geological covers in the North-central region are made up of igneous and metamorphic rocks (Basement Complex) and sedimentary rocks (Bida Basin in Niger, Kogi, Kwara, FCT; Middle Benue in Nasarawa and Plateau; Northern Anambra in Benue and Kogi). Industrial mineral deposits of economic to sub-economic quantities are associated with the different geological components of the 6 States in the region. The study will map surface and stratigraphic exposures of the selected industrial minerals to decipher their modes of occurrence and lateral extents in the geological terrains of the North-central region. 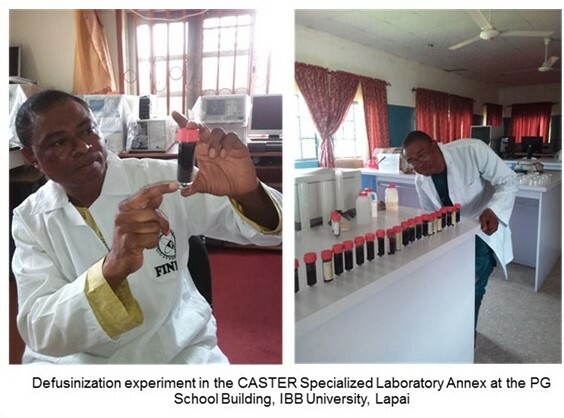 It will thereafter conduct detailed geochemical analyses on samples collected as a basis for characterization of the minerals as raw materials for different industries. Selected occurrences, after characterization, shall proceed further to beneficiation for value addition to meet specifications. Finally, the minerals shall be moved to pilot stage designs and applications in partnership with end-user industries and investors. 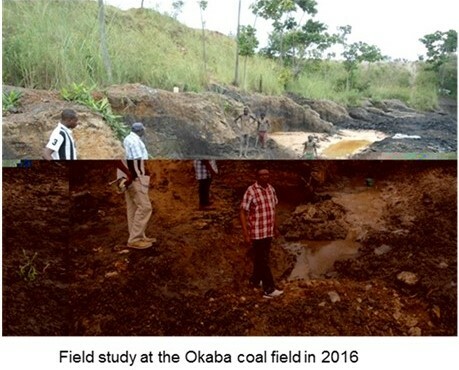 The results from this project are expected to lead to revival of solid mineral mining and establishment of mineral-based industries (Cosmetics, Cement, Battery, Paint, Ceramic, Pharmaceutical, Building/Construction materials, etc) and concomitant wealth creation, employment generation, poverty reduction and women and youth empowerment in sustainable physical environments in the North-central geopolitical region. 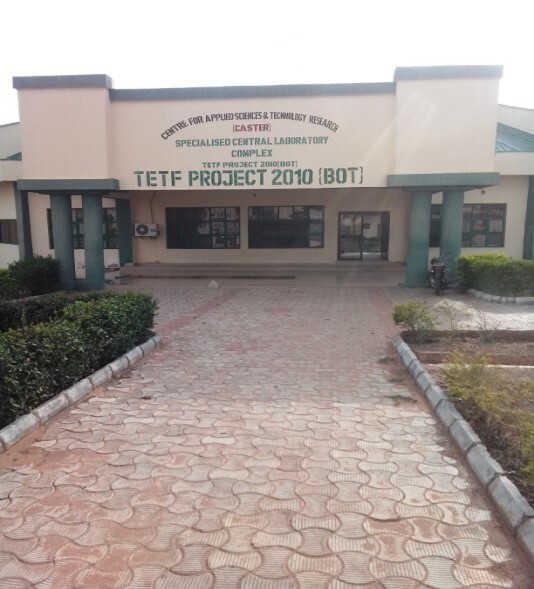 The Smokeless Coal Fuel Project at the IBB University is presently being supported by a TETFund National Research Grant awarded in 2015. Smokeless fuel refers to fuel which does not produce visible smoke when burned. Smokeless coal fuels have tremendously assisted to reduce emission of green-house gases. However, only specific types of coals are suitable for the production of smokeless fuels. The Ibrahim Badamasi Babangida University is currently working on determining the total coal reserves of Nigeria through geological mapping and core drilling and to there-from carry out petro-geochemical and experimental defusinization studies that will determine the geographic extent and stratigraphic intervals of Nigerian coals that can be used for the production of smokeless fuels and patent blending techniques that increase the quality of the coals for the production of smokeless fuels through experimental defusinization. Domestic cooking in Nigeria is done through the use of electric power, kerosene and gas cookers and the use of firewood derived through heavy deforestation. Electric power is in short supply; kerosene emits lots of greenhouse gases while the use of firewood leads to deforestation. Expected results from the smokeless coal fuel research project will assist to curb the alarming rate of deforestation in Nigeria which stands at 400 hectares per annum resulting in erosion and negative climate change effects. The project when expanded in scope through any further funding support will contribute greatly to the African regional energy-mix initiative that is expected to enhance energy supply and availability through augmentation with alternative energy sources. Energy supply and availability is the major driver in global economic performance. Governments at all levels in all nations aim to provide the necessary enabling environments that will engender economic growth and positive social-political transformation for the benefit of the citizenry. Economic growth in any society is anchored on the productive activities of the real sector whose performance is driven by energy availability. The Bida Basin is one of Nigeria’s inland sedimentary basins that has been least explored. There are predictions that the basin holds significant volumes of oil and gas in reserves, yet to be properly estimated. Despite the dwindling role of fossil fuels in energy applications and the need to deliberatively reduce the role due to their contribution to environmental pollution and production of greenhouse gases, petroleum (oil and gas) still accounts for up to 70% of Nigeria’s foreign earnings and has remained the major supporter of its economy since it was first discovered in commercial volume in 1956. Globally, petroleum as energy source will continue to dominate other primary energy sources and is expected to account for up to 60% of the world energy demand by the year 2030. Therefore the more the oil and gas that can be further discovered in Nigeria’s sedimentary basins, the better it will be for the economy. vii. a further report was sent to the President of the Federal Republic in 2016 to draw attention to the outcomes and needed further detailed exploration studies. 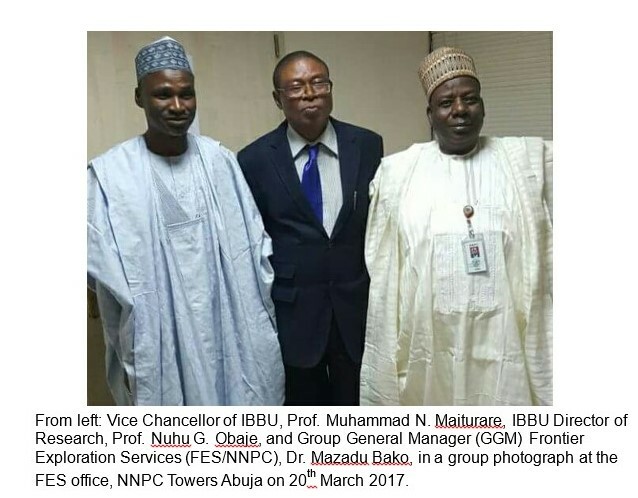 On the 20th March 2017, the Frontier Exploration Services Directorate of the NNPC officially made a request to the Ibrahim Badamasi Babangida University for partnership on the Bida and Sokoto Basins exploration programs and specifically for IBBU to carry out detailed geological mapping and geological studies that will further de-risk the basins for its (NNPC/FES) planned drilling campaigns in the two basins.